Relaxing under palm tree in a South Sea atmosphere. All year round and in the heart of Upper Austria. A dream? No – actually dreamlike. 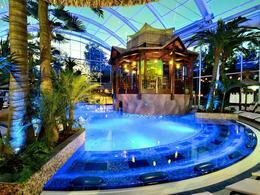 At “Tropicana”, Austria’s first Cabrio thermal spa, you can enjoy a wonderful oasis of relaxation. Forget everything that you knew about thermal spas. 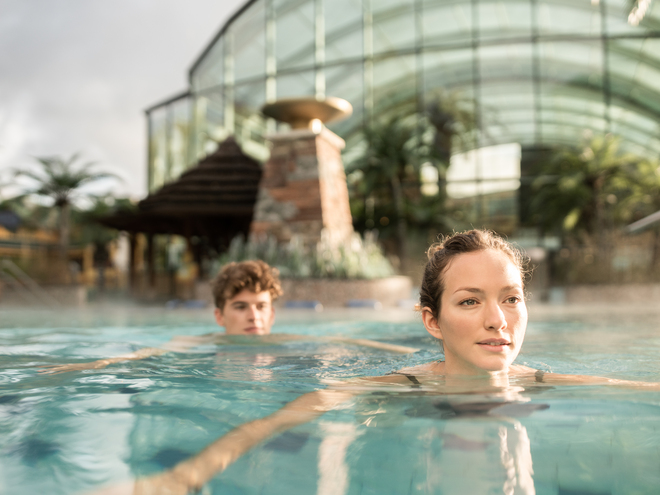 A completely new type of thermal spa experience awaits you at Tropicana, the new Cabrio thermal spa in Bad Schallerbach. Palm trees, a pool bar and a six metre high sea aquarium with fish and grottos to swim in invite you to relax and enjoy the South Sea atmosphere. 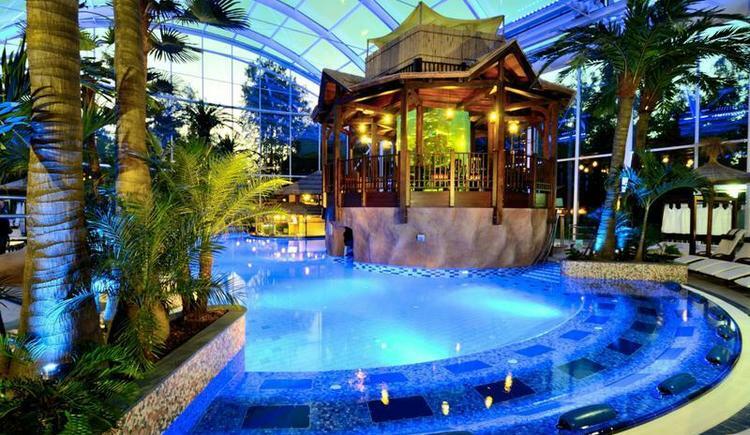 However, the absolute highlight is the roof which can be opened during good weather so that you can enjoy a wonderful open air thermal spa experience. And for everyone who wants to do something for their health: the sulphur bath eases rheumatism or allergies, brine water strengthens the body’s defences, and the iodine-selenium bath is like a fountain of youth and promotes stress release. Open daily from 9.00 to 24.00!